Last week was the MLB player draft. Several players with Liberal Bee Jay ties were selected in the draft. 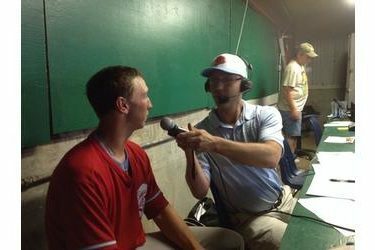 Bee Jay signee Blake Weiman of Kansas was selected in the 8th round by the Pirates. JB Olson of Oklahoma was taken in the 10th round by the White Sox. Jeff Bohling of Gonzaga was taken in the 17th round by the Rockies. Jakob Hernandez of Texas-Arlington was takend in the 21st round by the Phillies. Brady Cox of Texas-Arlington was taken in the 36th round by the Royals. Olson and Hernandez also played at Seward County. Weiman never made it to Liberal but had signed to play for the Jays in 2017. He was 5-1 with a 2.80 ERA for the Jayhawks. 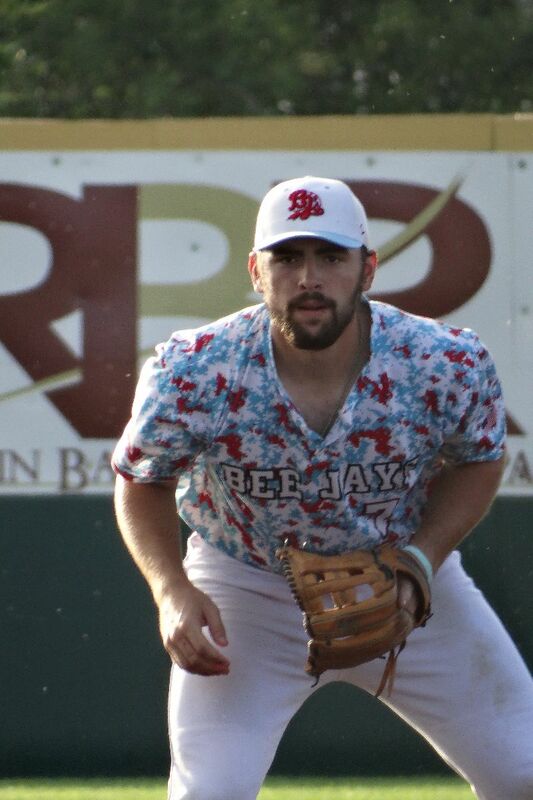 Olson played for the Bee Jays in 2016 and saved six games out of the bullpen with 13 strikeouts and three walks. His ERA was under one. Olson pitched for the Bee Jays in 2014 and was 3-4 with a 3.02 ERA with 39 strikeouts and five walks. Olson had eight saves and was 5-1 with a 1.99 ERA for the Sooners. He played in 2014 and 2015 at Seward and was first team all Jayhawk West both seasons and first team all Region 6 his second season. Olson racked up 16 wins and logged 187 innings with a sparkling 2.60 career ERA at Seward. Jeff Bohling played for the BJ’s in 2015. He played in 10 tamges and hit .371 with four doubles and five RBI’s. He plays at Gonzaga. 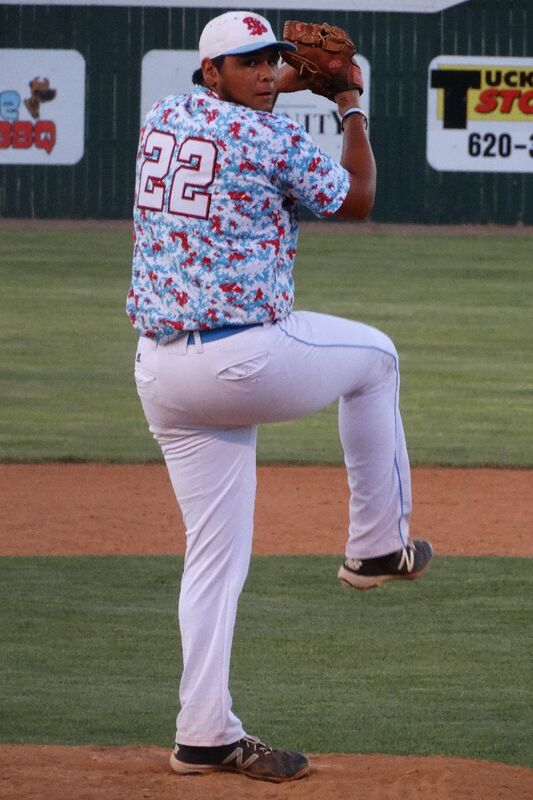 Jakob Hernandez pitched for the Bee Jays in 15 and 16. Last season Hernandez was 2-1 with a 2.95 ERA with 27 strikeouts and 13 walks. In 2015 he was 3-0 with a 3.54 ERA. Hernandez had 24 strikeouts and 13 walks. At UTA in 2017, he was 6-1 with a 3.28 ERA. Hernandez pitched at Seward in 2015 and 2016. Hernandez earned third-team All-America honors. Won the Jayhawk Conference triple crown with a 10-3 record, a 2.33 ERA and 159 strikeouts Hernandez won the national strikeout crown in junior college baseball by 23 punchouts, despite pitching 10 less innings than eight of 10 leaders in the category. His 159 strikeouts were the second-most by any NJCAA pitcher in the last 15 years. Averaged nearly 11 strikeouts per nine innings as a freshman in 2015 over a team-leading 18 outings. Brady Cox played for the Bee Jays and anchored the catcher position for three summers. He wore the powder blue and red in 2014, 2015, and 2016. In 2016, Cox hit .277 with one homer and 21 RBI’s. He had five doubles and a triple. In 2015, Cox hit .358 with six homers, 35 RBI’s, eight doubles and two triples. In 2014, Cox hit .338 with three homers and 20 RBI’s. Cox had six doubles.